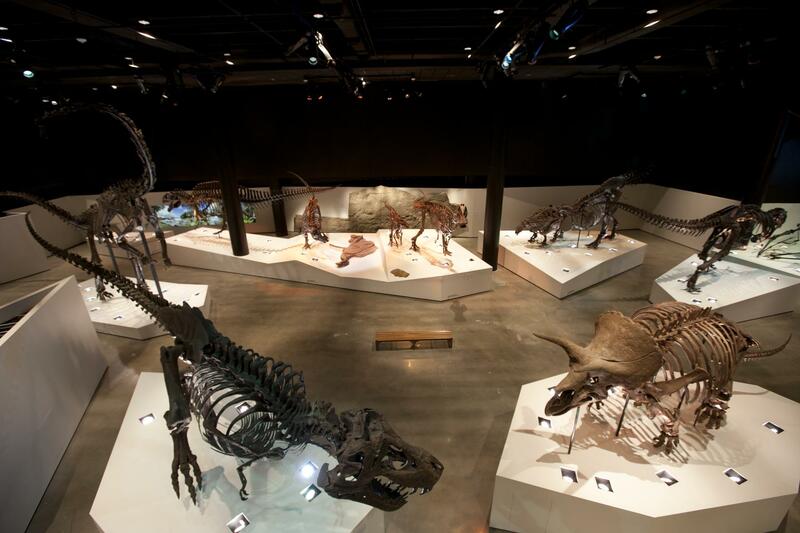 In the heart of downtown Houston’s museum district, you’ll find the Houston Museum of Natural Science. Part of the museum’s mission is to “preserve and advance the general knowledge of natural science; to enhance in individuals the knowledge of and delight in natural science and related subjects…” and it does this very well, as it is one of the busiest museums in the nation. The Houston Museum of Natural Science (HMNS for short) has a wide variety of stimulating and educational permanent exhibits. These exhibits include Ancient Egypt, where visitors can explore ancient writings, artifacts, and see a real mummy, and the Hall of Paleontology filled with towering prehistoric beasts caught in the acts of predator and prey. In the Smith Gem Vault you can view some of the largest gems and custom-made jewelry, along with the over 450 mineral specimens like enormous dazzling crystals and gold clusters in the Hall of Gems and Minerals. One of the most popular exhibits is the Cockrell Butterfly Center. Visitors walk through a rainforest butterfly habitat complete with 50-foot waterfall that is as stunning and spectacular as the creatures that live there. And if you’re really into bugs, stop in the Hall of Entomology to explore up-close the living insects, mounted specimens and large models. HMNS is a very family-friendly place, offering exhibits and family events throughout the year. This fall they are featuring “OktoberPest,” a special day of activities centered around exploring bugs in the Cockrell Butterfly Center on October 22. If you’re looking for a unique place to host our child’s birthday party, check out the museum’s party packages. They also have special quiet areas for families to rest located throughout the facility. When you’re ready to sit back and relax, check out a showing in one of two theaters at the museum. The Giant Screen Theater has an 80-foot screen showing regular and 3-D movies about our country’s national parks, dinosaurs, and Africa. The recently-upgraded planetarium shows fascinating films about the vastness of outer space, asteroid fields, other planets in our solar system, and much more. Residents of The Woodlands and vicinity can get to the museum by travelling south on Interstate 45 for about 40 minutes. Once you arrive, there is parking in the attached parking garage or in two other parking structures nearby. The least-busy times to visit the museum are early in the morning when it opens at 9am and on weekdays, especially Mondays. For more information, visit www.hmns.org.